Ubuyama Village Portal (Hereinafter “the Website”), which is run by Ubuyama Village Town Hall Planning & Promotion Department, has established the following terms and conditions of use. Should there be any changes to the terms and conditions, information will be provided as required. 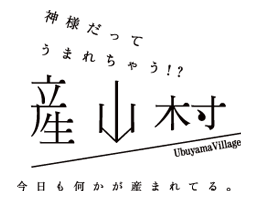 In principle, all text and images published on the Website are protected under copyright law, with the rights reverting to Ubuyama Village, with copyright to some images retained by the original copyright holders. Except for printing and storage thereof for personal use and for other uses authorized by copyright laws, any reproduction, transmission to the public, distribution, alternation or reprinting on other websites of any images or text published on the Website without prior authorization of the Ubuyama Village Town Hall is strictly prohibited. Every effort is made to ensure the accuracy of the information published on the Website, but we do not accept any responsibility for actions carried out by users utilizing the information on the Website. Personal information will be used to the extent necessary for the accomplishment of the following purposes. Personal information will not be used for any other purposes. The text and images displayed in the Ubu SNS section of the Website were gathered through relevant hashtags on facebook and twitter. We do not accept any responsibility for damage or loss suffered by users due to the posting of these contents. Ubuyama Village Town Hall Planning & Promotion Department does not accept any responsibility for the handling of personal information when using third-party websites or SNSs linked to from the Website. Please see the relevant website's policies, and use your own judgment when providing or disclosing personal information. The Website’s server automatically records the IP addresses of users’ computers, but this information cannot be used to identify a specific individual. As long as the user does not disclose their own personal information, they can browse the Website anonymously. We will endeavor to maintain entrusted personal information. To prevent unauthorized access or leakage of personal information, we have put in place appropriate physical and electronic measures to safeguard it. We shall not disclose or provide personal information to any third party without prior consent. However, in the cases below, personal information may be provided to third parties without prior consent. In addition, personal information may be provided to business contractors to the extent necessary for accomplishment of our service. In these cases, we will supervise the business contractors to ensure appropriate use of provided information. -	When disclosure is required by law. -	When it is necessary to protect human life, limb or property, and it is otherwise difficult to obtain your consent. -	Where provision of information is necessary to improve public hygiene or to promote healthy development of children, and it is otherwise difficult to obtain your consent. 우부야마무라 사무소 기획진흥과가 운영하는 '우부야마무라 포털'(이하, 본 사이트라 합니다)은 아래와 같이 규정된 이용약관에 따라 이용하셔야 합니다. 본 약관 변경 시에는 인포메이션에서 수시로 알려 드립니다. 본 사이트에 게재된 정보의 정확성에는 만전을 기하고 있습니다만, 이용자가 본 사이트의 정보를 이용하여 행하는 모든 행위에 대해 어떠한 책임도 지지 않습니다. 본 사이트 '우부야마 SNS'에 표시된 이미지 및 문서는 facebook, twitter에서 임의의 해시태그로 수집한 것입니다. 이것들을 공개함으로 인하여 업로드한 자가 입는 피해 및 손실에 대해서 어떠한 책임도 지지 않습니다. 본 사이트 이용자의 개인정보(이하, 개인정보라 합니다)는 아래와 같이 규정된 목적을 위하여 이용합니다. 그 밖의 목적으로 개인정보를 이용하지 않습니다. 본 사이트 '우부야마무라 SNS'에 게재한 이미지 및 문장은 facebook, twitter에서 임의의 해시태그로 수집한 것입니다. 이 정보들은 모두 각 SNS에서 업로드한 자가 일반 공개에 동의한 내용을 대상으로 합니다. 본 사이트에 링크된 SNS 등 제삼자의 웹사이트에서의 개인정보 취급에 대해서 우부야마무라 기획진흥과는 어떠한 책임도 지지 않습니다. 해당 사이트의 정책을 확인하시고 본인의 판단으로 개인정보를 개시 및 제공해 주십시오. 본 사이트의 웹서버는 이용자의 컴퓨터 IP주소 등을 자동으로 기록합니다만, 이는 개인을 특정하지 않습니다. 이용자가 스스로 개인정보를 개시하지 않는 한, 익명으로 본 사이트를 열람할 수 있습니다. 본 사이트에서는 개인정보의 안전한 관리를 위하여 노력하며 권한이 없는 액세스 및 개인정보 유출 방지를 위하여 물리적, 전자적으로 적절한 수단을 강구합니다. 개인정보의 제삼자 제공은 본인의 동의 없이 제삼자에게 제공하지 않습니다. 다만, 아래의 경우에는 이용자의 동의 없이 제삼자에게 개인정보를 제공할 수 있습니다. 또한, 본 서비스의 운영에 필요한 범위 내에서 개인정보를 업무 위탁처에 제공할 수 있습니다. 이 경우에도 업무 위탁처에 제공한 개인정보를 적정하게 취급할 것을 요청하며 적절하게 관리합니다. copyright © 2016- 産山村 all rights reserved.